I had the great fortune to be asked to speak at the headquarters for Cracker Barrel Old Country Stores last week outside of Nashville, TN. You know Cracker Barrel–they run the laid-back family restaurants we visit on our road trips to grab a bite and a gift, almost anywhere across the nation. What a great feeling–one that really made me want to do my best for them the rest of the day. Letting the welcome wash over me made me realize what an amazing motivational tool it was–and how I likely forget its power in my hurry to get things done. 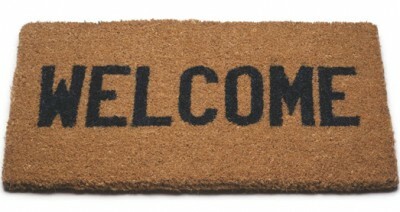 I’m now ramping up my own welcome wagon when new people cross my path. “Thank you for not being boring,” said a woman leaving the session on Friday. That made me laugh–goodness knows what kind of event she expected this to be!! But her honest comment also made me see that the energy we bring to what we do can sometimes be even more important than the information we’re sharing. Like many of us, I spend a lot of time on my ideas and content, but do I spend enough time developing and refining my energy and enthusiasm? It was a great reminder that I need to care for that, too–so I can always bring it when it matters. In my work here at RedCapeRevolution.com, I aspire to positively impact at least one person every day. But let’s face it–there are certainly days when you aren’t sure that’s happening! (Anybody out there? Bueller?) But the notes I’ve received from those in the Cracker Barrel group remind me that even making a little difference can be big to someone. If one thing sticks–a concept, idea, action, permission, story –it can add up to a major change. I can get so focused on making big leaps that I forget that you need all the little steps to get there. Thanks to my Cracker Barrel friends for the reminder! I love to speak at your companies and organizations. What will I learn from you?